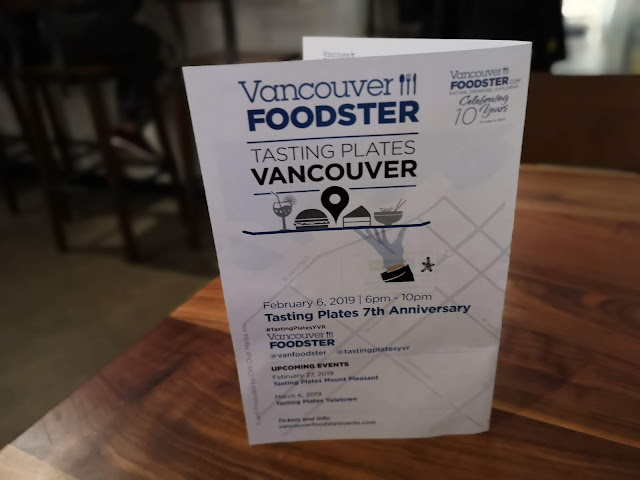 Another Vanfoodster Tasting Plates event! These are good fun and a chance meet fellow foodies and to try some new restaurants! 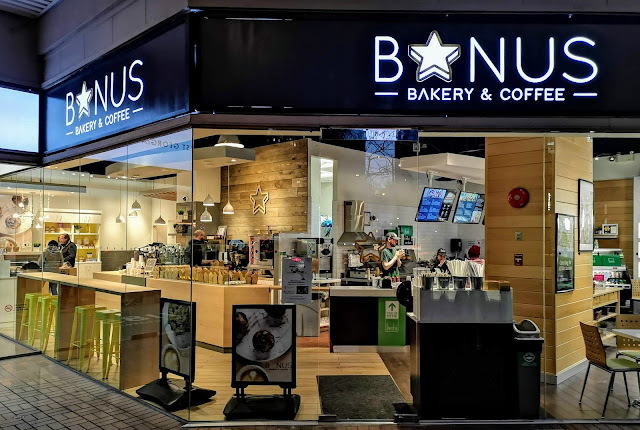 We met inside and out of the cold at Bonus Bakery Cafe to pick up our tickets and maps. Bonus was good enough to send us on our way with a few of their plant based treats! I carried mine around in a box all evening and ended up eating it on the sky train ride home! 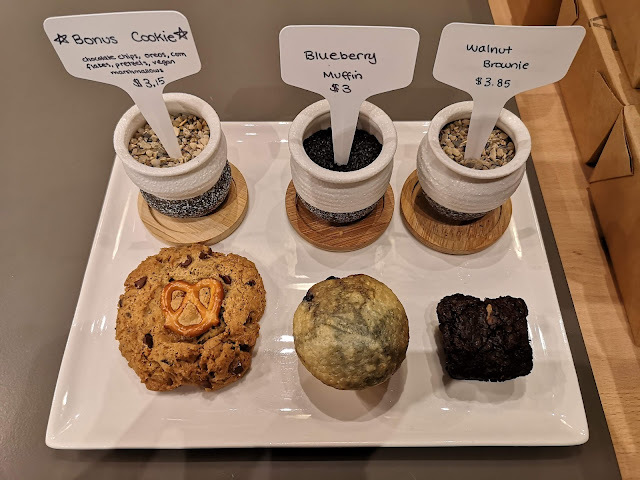 A chocolate chip cookie (with a little touch of salt in pretzel form), a blueberry muffin and a brownie and they were all very good. I love the plant-based thing. So I skipped across to Davie Street and Mumbai Local. 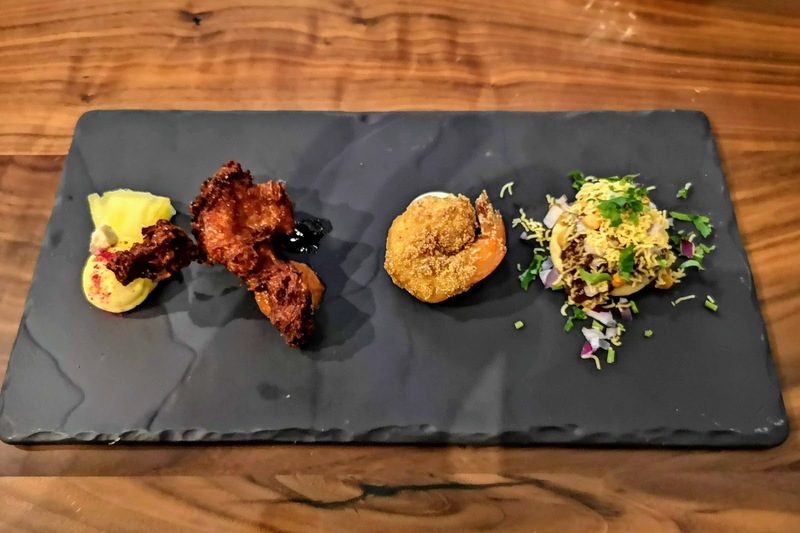 This is a fairly new place that has been getting some foodie attention and for good reason. Their offering included my second foray into the tasty world of "Chaat" in the form of Shev Puri, then a Prawn Rava, a Chicken Lollipop and Shrikhand. I had to Google the last one and it turned out to be a traditional sweet starting with yogurt and in this case, ending with pineapple. Very tasty! 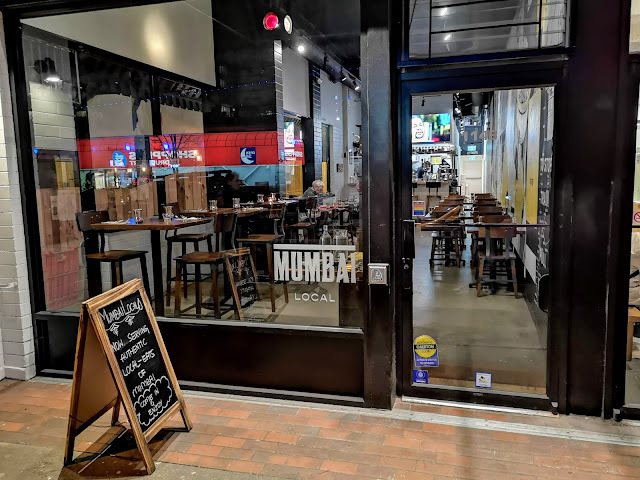 We will definitely be back to Mumbai Local to try more! Stay tuned for part two and some real walking (and waiting).